A potluck in Southeast Alaska serves as a virtual taste-test of salmon dips (this one is a family recipe supplied by my friend). It’s quick, versatile — and if you’re not Tara Marconi, the main character in The Alaskan Laundry, and didn’t grow up in a bakery in South Philadelphia, you don’t have to teach yourself to bake cannoli! 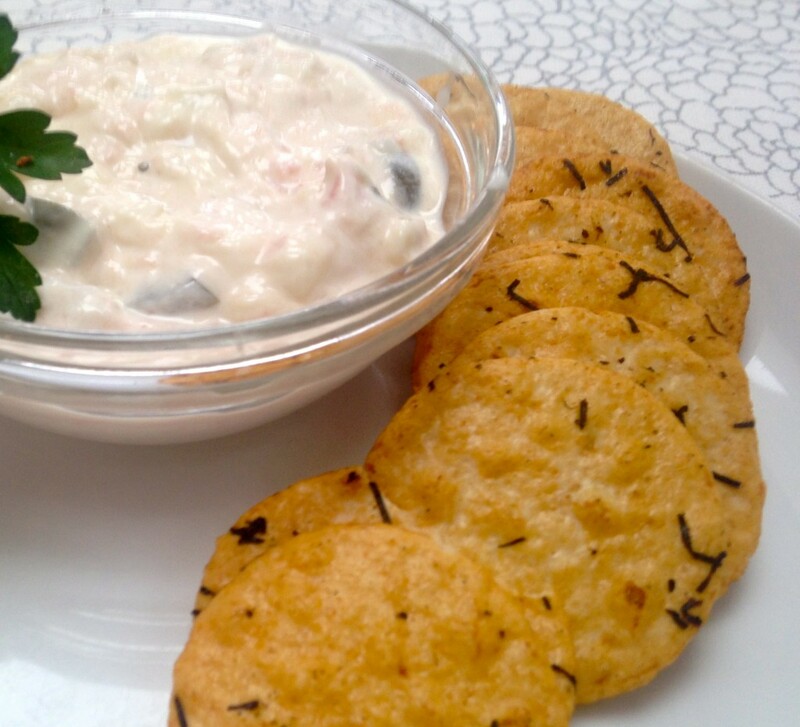 A quick and easy to prepare Salmon Dip recipe from author Brendan Jones, paired with his novel THE ALASKAN LAUNDRY. This versatile dip is a staple at potlucks in Southeastern Alaska. Blend mayonnaise and sour cream in a medium bowl. Stir in lemon juice and Worcestershire sauce until well mixed. Add salmon. Use the back of a fork to mash it up, and stir until well blended, or blend in a food processor. Stir in pickles. Serve with brown rice snaps, Wheat Thins, or your favorite dippers.